Rita Sahu wife of late Congress sitting MLA Subal Sahu will file her nomination on 5h Februry as a BJD Candidate. As she is the appropriate candidate for the most awaited Bjijepur bypoll election in Bargarh District. The party declared this after BJD supremo and Chief Minister Naveen Patnaik chaired a high-level meeting at Naveen Niwas to prepare party’s strategies ahead of the bypoll. Senior party leaders including Prasanna Acharya, Debi Prasad Mishra, Prasanta Nanda, Pranab Prakash Das, party observer for Bargarh district Prafulla Mallick and canditate Rita Sahu attended the meeting. Meanwhile, some Sarpanchs and Panchayat Samiti members along with 50 congress and BJP workers from Gaisilat Block of the district joined the BJD today. 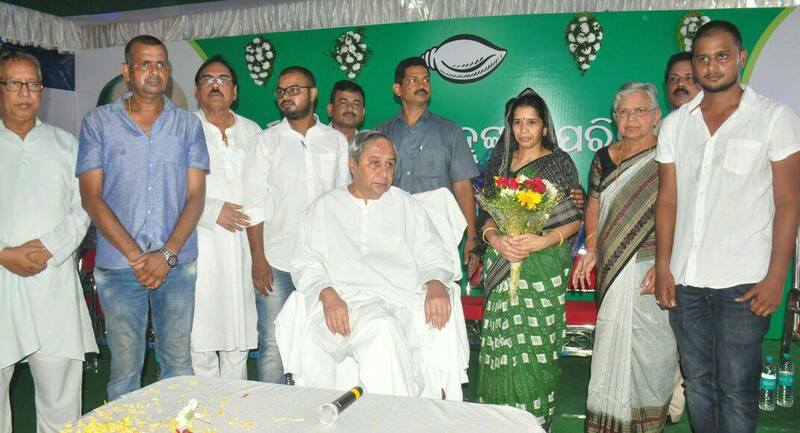 Speaking to media persons, Naveen said “I am very happy that the Sarpanchs and Panchayat Samiti members along with 50 leaders from Congress party belonging to Bijepur Assembly Constituency have joined BJD. Their joining will strengthen our party. I welcome them”. The Bijepur by-poll will be held on February 24. The by-poll was necessitated following the death of Congress MLA Subal Sahu on August 22, 2017.